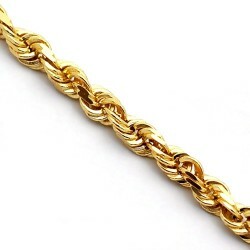 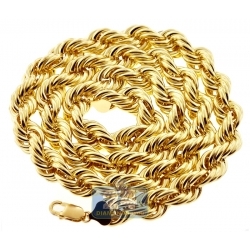 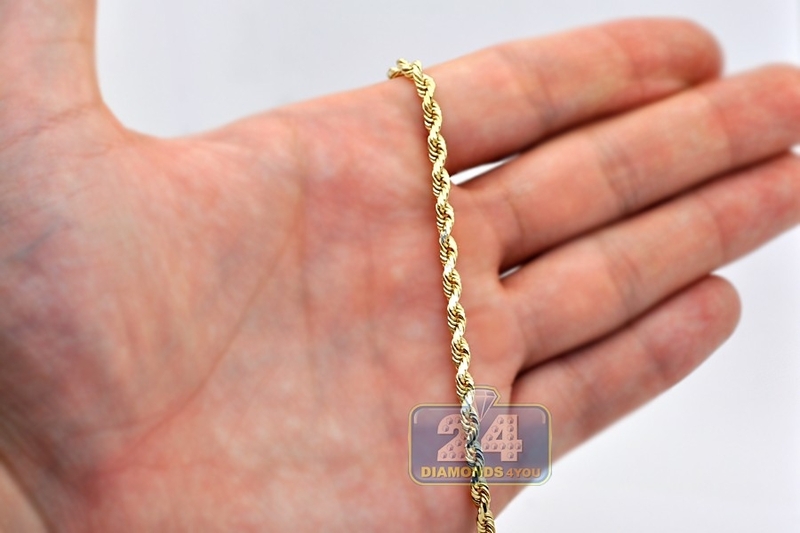 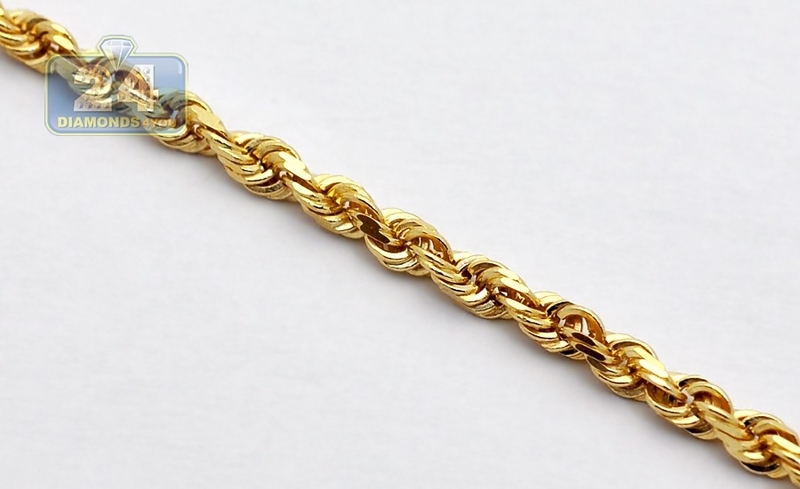 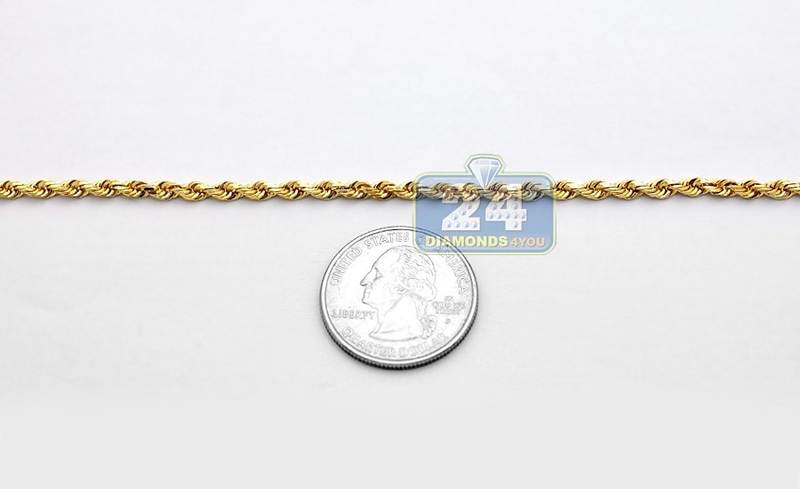 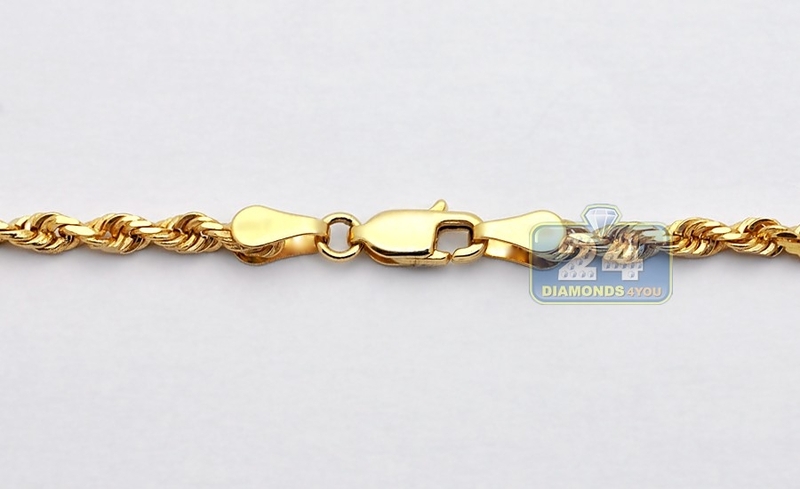 Solid 14K Yellow Gold Mens Rope Chain 4mm 20 22 24 26 28 30"
Measured 20, 22, 24, 26, 28, 30 or 32 inches in length, 4 mm in thickness, this handsome solid gold rope chain will dress up any casual outfit! 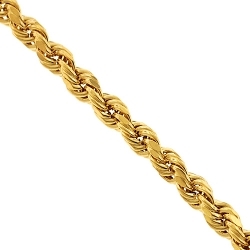 It's professionally crafted in hot 14 karat yellow gold in Italy, and features high-polished ultra shimmering finish. 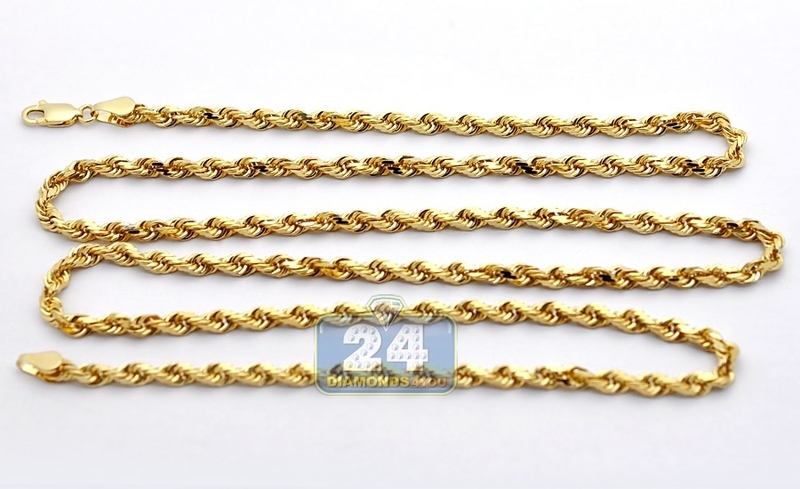 The weight varies from 24 to 38 grams. 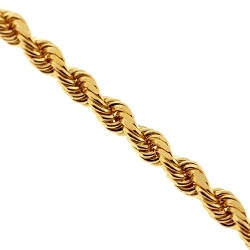 The endings are closed by a safe lobster claw clasp. 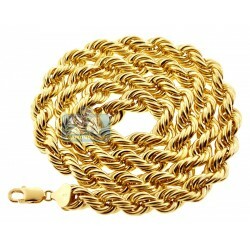 Impress yourself with our men's yellow gold necklace!